This book includes 15 true stories from people with bipolar disorder or unipolar depression and their great courage and suffering, their struggles and triumphs. Edited or co-written by Katy Sara Culling, the stories are all of high quality and interest. Each story is totally unique, giving the reader a broad spectrum of mood disorder experiences to draw from, making this book useful for the sufferer, carers, and medical professional, as well as the general public who wish to educate themselves about these topics. As with mood disorders there are a wide range of treatments used, from therapy to medication and electroconvulsive therapy (ECT). All are covered in this book. As it is common for co-disorders to exist, especially alcoholism, anxiety and eating disorders, some of the stories include tales of people struggling with these issues as well as their mood disorder. That is, after all, true to life. Because peoples’ experiences with mood disorders vary there is a chapter at the end explaining mood disorders and the terminology. This can be read before the stories in the book if a person feels they need to know the background information first. This means a person who knows nothing about mood disorders can pick up this book, read it, and finish with a good understanding of the subject. “I am so glad to know that I am not the only person who feels like this. This book empowers all people with bipolar disorder or depression. I hope it enlightens those people who laugh or don’t take these illnesses seriously.” ~ Liz Broughton. “Brilliant writing, packed with information and stories that you couldn’t make up if you tried. Some so very sad – these illnesses are serious business.” ~ Paul Michaels. Katy Sara Culling was born in Liverpool, North England, in January 1975, sharing her birth date rather aptly with Virginia Woolf. Daughter of Sue and Paul Culling, her family moved back to its roots in Derbyshire, where she grew up along with her younger sister Beth, in the village of Castle Donington, on the Derbyshire-Leicestershire border. However, even as young as 5 she exhibited symptoms of bipolar disorder. She attended a private school for girls, Loughborough High School, where she was a high achieving student. Unfortunately, due to bullying and also to numb her mania and depression, she developed anorexia nervosa and began to self-harm. Katy Sara then went to The University of Nottingham, where she studied Biochemistry and Nutrition. She did her (1st class) thesis on alcohol and metabolism, interested in the psychology of Alcoholism. All this was done despite considerable illness including over 60 suicide attempts and purging-type anorexia – and yet more bullying. Her good work at Nottingham lead to an offer of a place at The University of Oxford, where she studied for a PhD (DPhil) in Clinical Medicine. In her final year she became so ill with bipolar disorder that she was in hospital (first as a day patient, then an inpatient, and eventually a sectioned inpatient). During that year and a half she attempted suicide over 300 times, dying twice, only to be revived. She finally, at the age of 28 got a diagnosis of bipolar disorder and the correct medication, and had been mostly fine ever since. She later wrote up her PhD thesis and published her results. Now Katy Sara is mostly well and has become a writer, wanting to prevent others from suffering as she did. She writes mainly about bipolar disorder but also other psychiatry/mental health topics, and her first book Dark Clouds Gather (autobiographical) was published by Chipmunkapublishing. Her second book, Too Good For This World will be available soon. Katy Sara also spends her time working in medical research, and helping fellow survivors of bipolar disorder through charitable organisations whilst trying to maintain her own good mental health. She is an advocate for all survivors of this illness and believes that an "expert patient" system could be highly beneficial. She has a particular interest in improving diagnosis and treatment for mixed bipolar disorder states as this terrible form of bipolar disorder caused her significant, almost lethal problems and was not easily recognised. She has not ruled out the possibility of doing another PhD, this time in Psychiatry. Every day is a battle with illness that she wins, and she hopes that 443 suicide attempts will never reach 444. This is not a book about the science of mood disorders, it is a book about what it is really like to live with one, straight from the pens (or keyboards) of real-life sufferers filtered through myself – all of whom are brave and for whom I care deeply. This book focuses mainly on bipolar disorder, it’s highly detrimental horrors, and also, according to some, it’s potentially artistic triumphs. “Normal” or “bog-standard” depression, i.e. unipolar depression/major depression is also covered here within, as are co-disorders which are common. 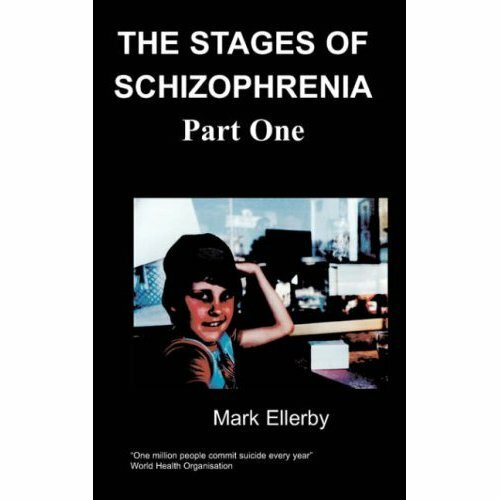 At the back of this book you will find a more detailed chapter with facts and figures about mood disorders, along with a glossary of terms and their meaning at the back of the book. Women and men – from all backgrounds – with different educations, careers and lives; including people of all ages, from youthful teens to some vintage characters have contributed to this book. Black and white, straight and gay, fat and thin, from England and abroad; all sharing at least one thing: the fact that they suffer or have suffered from a mood disorder for varying periods of time. Each person has a unique take; a private and fascinating experience of illness and its many consequences, which they wish to share for the betterment of other people. Many of these tales are inspirational. I wish I could say all the contributors are “survivors” – most are – but people with mood disorders die before their time, not uncommonly by their own hand. This book is aimed primarily at sufferers of mood disorders, to show you that you are not alone and what you are experiencing is “normal” illness. With any luck you will feel more hopeful, inspired, and also warned about just how severe these problems are, and then take precautions as necessary. Everyone, including YOU, must always take these illnesses tremendously seriously. You will see from these pages how much help is out there: professionally, from family, friends, organisations, and from fellow sufferers. You will see how people have survived and striven to create a wonderful life that you might feel to be impossibility right now. Never lose hope. Friends and family will also benefit from this book, as will professionals who want to understand and empathise better with their patients, learning from the very different presentations here within. We all want better understanding and the chance to work together to battle against these common and life altering diseases. As I’ve said before in my previous book Dark Clouds Gather, “I do not hang my head in shame.” Look how many people agree and are speaking out as well. If you recognise yourself in these true stories, seek help now. So much can be done to help, and the sooner help is received, the more effective it is – and the less you have to suffer. Lack of proper treatment: through not seeking help, not being compliant with medication, or lack of the correct medication, are the leading causes of a very nasty outcome. One in 10 of us experiences depression at some point in our lives, and one in 50 experience severe depression. With proper treatment a healthy, “normal” quality and quantity of life can be expected. 254 million people are affected by bipolar disorder worldwide. 2.4 - 4 million people in the UK have bipolar disorder. (Depending on inclusion criteria). 12 million people in the USA have bipolar disorder. (Depending on inclusion criteria). The medical profession, whilst commendably trying their best with the tools that they have, are at times, inept at diagnosing, treating and empathising with people who have bipolar disorder – but research is ongoing to hopefully change this. The average time it takes to be correctly diagnosed as bipolar is 10.2 years, after on average 3-4 misdiagnoses. So learn to recognise what your symptoms are and speak up! Otherwise you begin to feel like a non-person, looking for ways of getting someone in an over pressurised health system to notice you screaming: “LOOK, HELP! Over here, it hurts inside; it HURTS. I don’t understand what is happening to me, I hurt, I am afraid, I want to die, I don’t want to die, I don’t know what to do, I don’t know what can help… HELP ME, PLEASE HELP ME.” I am talking from personal experience.